Columbia is one of the few cities that enjoy a diverse economic scenario with manufacturing, defence, healthcare and banking having a major share in its growth. It also boasts of a world-famous university. The city provides ample scope for professionals who wish to pursue their careers in the emerging industries based in the city. With new technologies being implemented, the professionals need to get updated. A certified scrum developer training in Columbia would make the individual to stay updated. The CSD training in Columbia offers training that would cover the basics to advanced levels.The five-day intensive workshop designed to instill expertise with regards to project integration and process standardization. CSD training in Columbia covers Scrum Framework, its principles and how to adapt to the Scrum environment. It also imparts CSD technical track training through lectures and practice sessions. The CSD certification in Columbia would make you an expert in SCRUM along with Agile technology. The much-lauded course is accredited by leading corporate and their training methodologies are approved by experts in the industry. As a participant you will be eligible to get 40 PDUs and 40 SEUs, after the successful completion of the training. Another advantage of this certification is the course fee is inclusive of the exam fee. 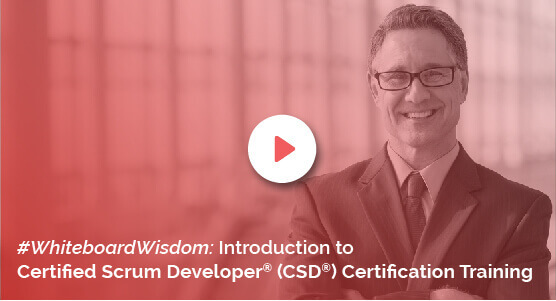 The CSD certification in Columbia offered by Knowledgehut is based on the most updated syllabus and is approved by the Scrum Alliance. The salient features of CSD course in Columbia are long-serving trainers, downloadable e-book, 100 days free access to the Agile and Scrum e-learning program. Successful certified Scrum developer certification in Columbia offers you 2-year membership with Scrum Alliance.